A small diving duck with a neat plumage pattern, the Smew is well adapted for fishing underwater. The mandibles of its bill carry rows of spikes resembling teeth, anil the bill has a small, sharp hook at the tip which helps to grip slippery fish. The bird floats on the surface and peers into the water to locate prey, then dives underneath to give chase, using its feet for propulsion. Smew walk well on land and are fast and agile in (light. 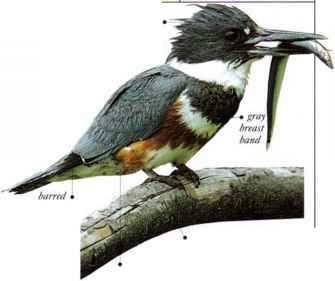 They breed beside freshwater lakes anil rivers in the northern coniferous forest zone, where rhcy feed mainly on aquatic insects. NliST A hole in a tree, lined with down. • Distribution Breed N. Eurasia. Winters as far south as N. India and Female S.E.China.